Rahuri Town have special recognition in SAHAJAYOGA and it’s well-known over the world. The family of H H Shri Mataji’s father is from village SHINGVE NAIK and whereas HER mother’s and grand mother’s family is from village NANDGAON.Both the villages are on the border of Rahuri tahasil and at a distance of two km from each other.Howeve,r both the families left their native villages when HER father’s young age. The town Rahuri is leagendrily, known as MAHER OF GODESS DURGA because every year, a palkhi(doli) is sent to TULJAPUR(Swayyambhu Durga place-Peeth) from Rahuri for the procession of Navratri..While talking about Rahuri SHRI MATAJI ALWAYS USED TO SAY THAT IT IS HER MAHER [Home-Town].Thus She had tremendous love for Rahuri. On 22 nd and 23rd march 1975, SHE came to the Agricultural University at Rahuri to give self realisation to the staff and students of the University. Late Mr Madhukar Dhumal was the first Sahajayogi from Rahuri Town followed by late Prof.Vasant Mane (realisation 1972) and Prof.Mahendra Chavan from the Agri .University(realisation 1973). Initially, these three persons use to organise the public programes in the villages surrounding of Rahuri. During these public programmes, H.H. 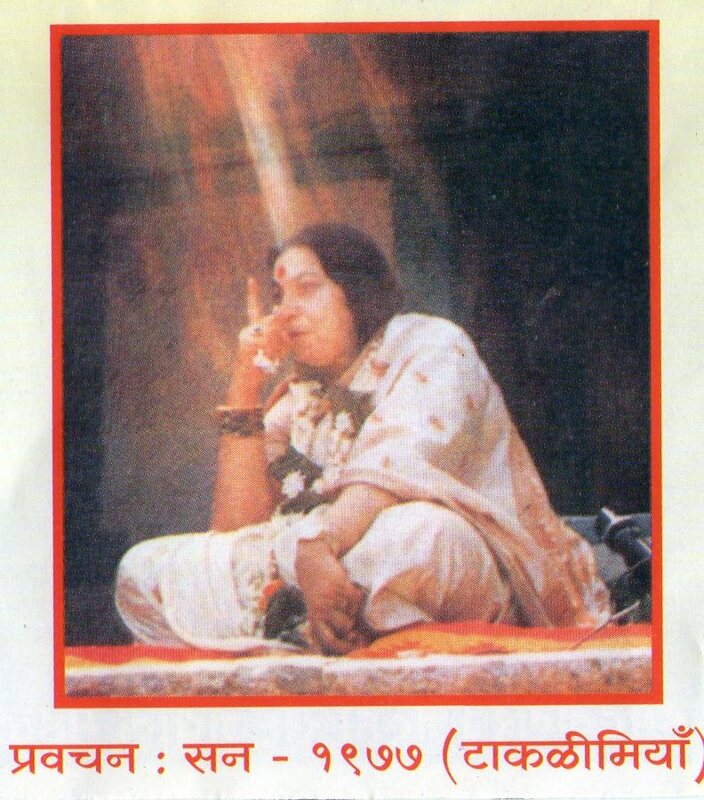 Shri Mataji used to give self realisation in masses to the villagers. Besides villages Shingve and Nandgaon being HER parents place, three villages namely, Musalwadi, Avadgaon(Aradgaon) and Taklimiya occupy important place in Sahajayoga for different spiritual reasons. Rahuri used to be the important visiting place during India tours of Sahajayogi’s coming from abroad, who participated in public programmes being conducted in 1980’s.They were impressed by amass self realisation being obtained by the rural people.Perhaps the FIRST MARRIAGE in Sahajayoga was held in Rahuri when Mr Gregoire De Kalbermatten the auther of ‘Advent’ got married. H.H.Shri Mataji has sugessted to the villagers of Aradgaon to change the name of village as AVADGAON as SHE (THE GODESS) liked this place. 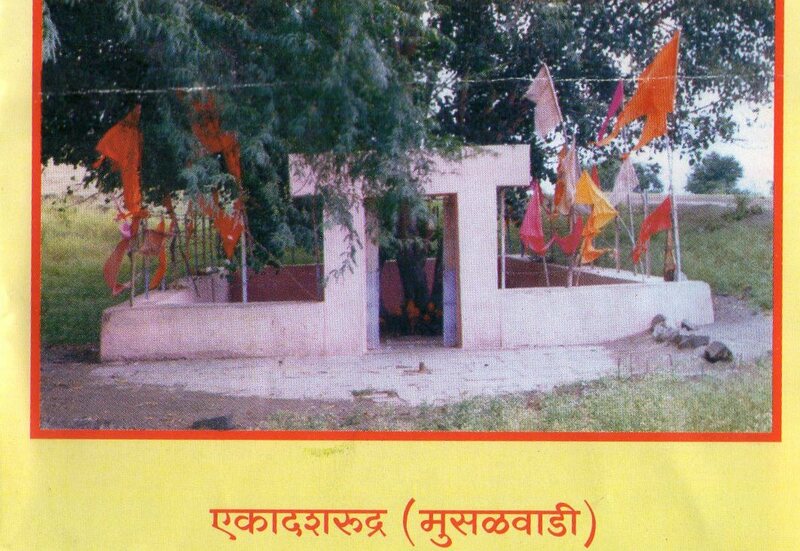 6.Shirdi – Sadguru Sainath Temple 45 km away from rahuri. 7.Newasa – 32km away from Awadgaon, where yogi saint shri Dyaneshwar wrote Dyaneshwari wherein describes his persomal experience of kundalini awakening and its imp. 8.Dongargaon- where Adishakti Shri Sitamai and Shri Ram stays..
9.Shingve Naik -H.H.Shri Mataji’s father’s village. 10.Nandgaon- H.H.Shri Mataji’s mother’s place. This information is provided by Mr. Ram Bhawar – Coordinator of A’nagar District Committe.